(Winnipeg, March 1) – Drivers are being asked to think about something other than the traffic on their morning commute. 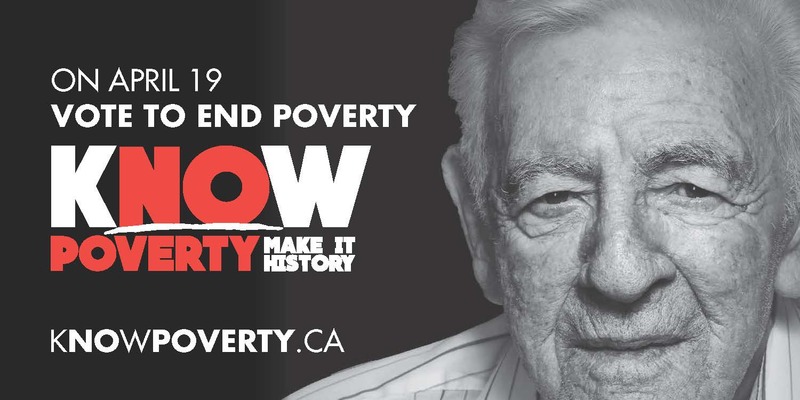 Billboards put up by Make Poverty History Manitoba are asking viewers to think about poverty in the lead up to the provincial election. The billboards feature the slogan ‘KNOW POVERTY’ with the letters ‘NO’ in red to highlight the link between understanding and ending poverty. The billboards also call on the electorate to vote to end poverty on April 19. Make Poverty History Manitoba is asking all parties to commit to priorities on poverty reduction, including making a comprehensive plan that sets targets and timelines for poverty reduction, building social housing, raising minimum wage, increasing social assistance, investing in mental health and funding universal child care. These priorities were based on consultations with community organizations, academics and people living in poverty as the top actions government should take to reduce both the depth and extent of poverty in Manitoba. “We can end poverty, but we need government to show leadership and voters need to demand action,” said Brandon. Make Poverty History Manitoba is a coalition of groups and individuals working to end poverty in Manitoba. 60 organizations have signed on to support its KNOW Poverty campaign.